Home sits on .69 acres & w/20x40 shop! Approx 525sf bonus rm up.Granite thruout, kit island, SS appl.Open concept, wood burning FP. USDA option for financing WAC. 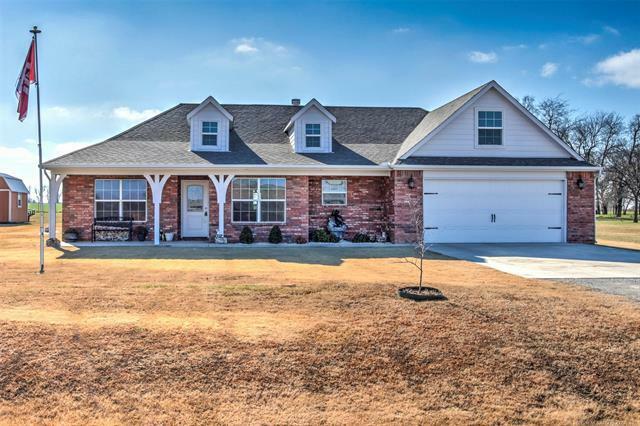 Fantastic location less than 20 min to Tulsa! Front & back porches-lg & cvrd! Builders Home.